Clear Harbour Cares has come to the assistance of the Grenada National Coalition on the Rights of the Child (GNCRC) following a recent robbery at its office which left its small staff unable to operate. On Monday 24 March, GNCRC staff discovered that two computers with sensitive information were stolen from their office. 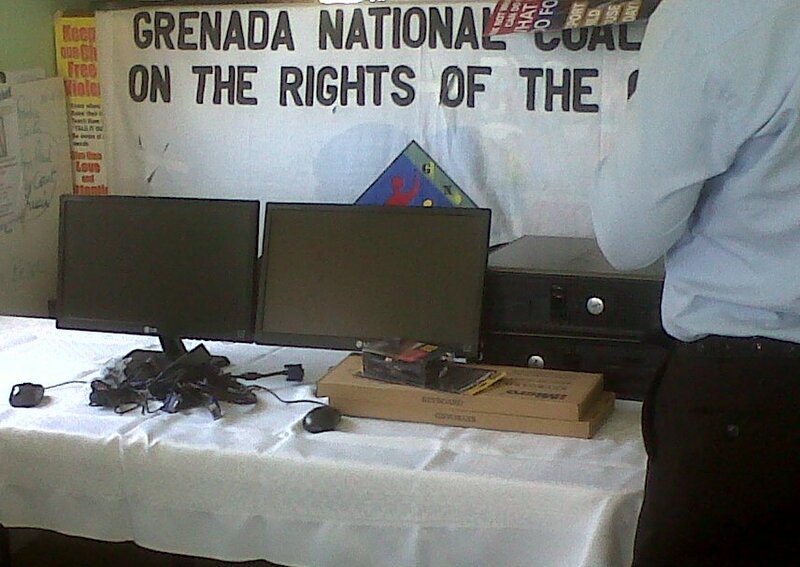 Ann Greaves, GNCRC Chairperson said that the robbery had left the office virtually unable to function. She made a public appeal for a replacement system. An offer to assist came from Gary Bethel, a freelance computer programmer with Clear Harbour, who read about the robbery — and the ongoing police investigation — on nowgrenada.com. During a press conference held to inform the media about the activities scheduled to observe April as Child Abuse Prevention and Awareness Month, Gary Bethel, Programme Manager Michael Hutchinson, and Financial and Administrative Generalist Kahmala Campbell made the presentation. “We are very happy to report that Clear Harbour Cares, the charity arm of Clear Harbour, has come to our assistance. Tuesday they presented us with two systems,” said Greaves. 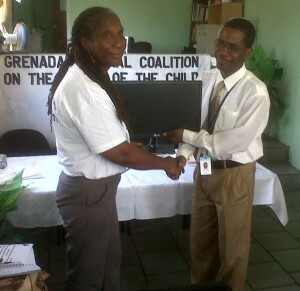 The theme for the month of awareness is “Empowering families and communities to keep children safe.” Activities include presentations made to primary and secondary schools, discussions on radio and television and towards the end of the month, a paediatrics event at the Westerhall Health Centre.